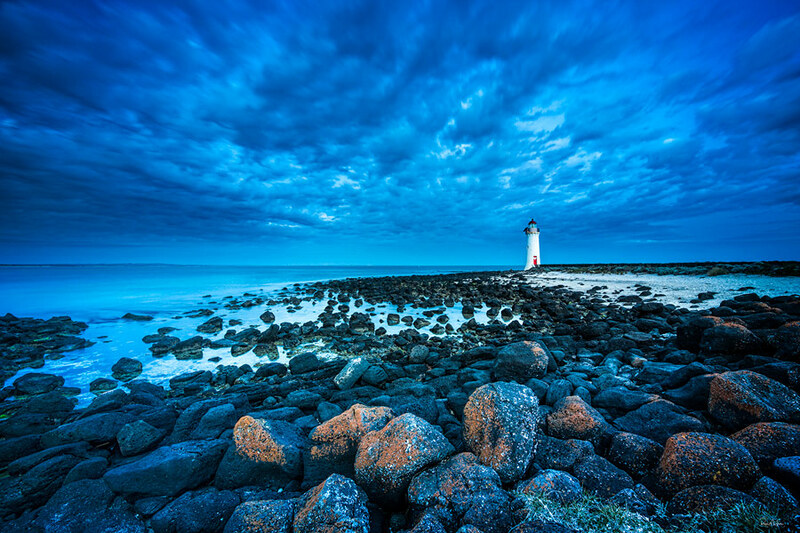 From 1859 the Griffiths Island Lighthouse has guarded the entry to the Moyne River & the township of Port Fairy. Historically, Port Fairy was an early whaling station & then an important trading port for Western Victoria, but in more recent times the island has become an important breeding ground for numerous species of birds. Standing behind my tripod on this particular evening, I was approached by a man who wanted to know “when they were coming”? “When is what coming”? I replied. “The shearwaters, of course”. My attempt to explain to him that I was a landscape photographer, wanting to capture the lighthouse as the last rays of light illuminated it were not wholly successful. As he departed, he muttered something about the idiocy of photographing lighthouses when I could be looking for birds. It really didn’t make sense in his book, but it does in mine.